Taikateatteri 13 ("Magic Theatre 13") is a theatre and circus company established in 1998. Its objective is to promote and develop performing arts with special focus on magic and circus performances. 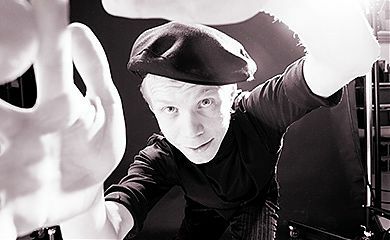 Magician Tatu Tyni is an established presence in the field of Finnish circus and stage magic. He is one of the founding members of Taikateatteri 13, the Cirko Center for New Circus and the Finnish Circus Information Centre. 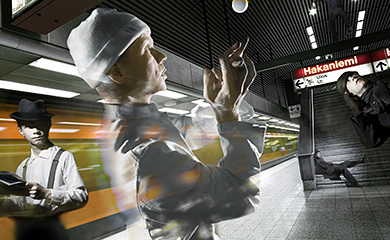 Tatu Tyni has written and directed magic plays, written books on magic, performed actively home and abroad and worked as an illusion designer for theatre productions such as the National Theatre's Mr. Vertigo (2010) and Ryhmäteatteri's The Master and Margarita (2007). In the summertime he organises magic performances in the village of Fiskars at the old fire station that has been renovated by TT13. 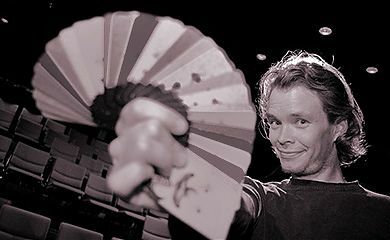 Janne Raudaskoski is an applauded and award-winning professional magician who specialises in innovative deconstruction of the borderlines between magic, clownery and modern technology. He has authored two solo productions in his own style he calls experiental theatre: The Outsider (2011) and Wally Watthead and His Lost Glow (2008). He has also performed in countless events, celebrations and magic plays. Raudaskoski is the executive director of his own company, The Amazing Magic Theatre Ltd.